Learn all about printing at Madison College. Also includes tips and tricks to print smart, utilize less paper and make the most of the resources available to you at Madison College. Student printing allotments will be recharged with $7.50 prior to the start of the semester. In addition, any monies students personally added by credit/debit or pre-paid cards will roll over. 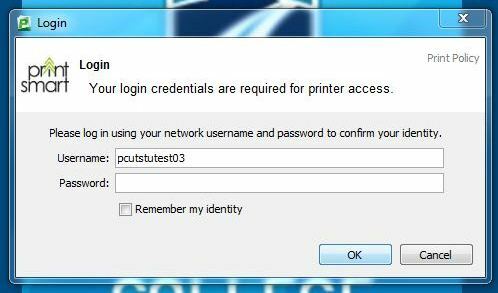 Students can see their account information by logging into their print account using the "Details" link on the Print Smart popup on all campus computers. Print allotments will be applied about 1 week before the semester starts. How many free prints do I get per semester? 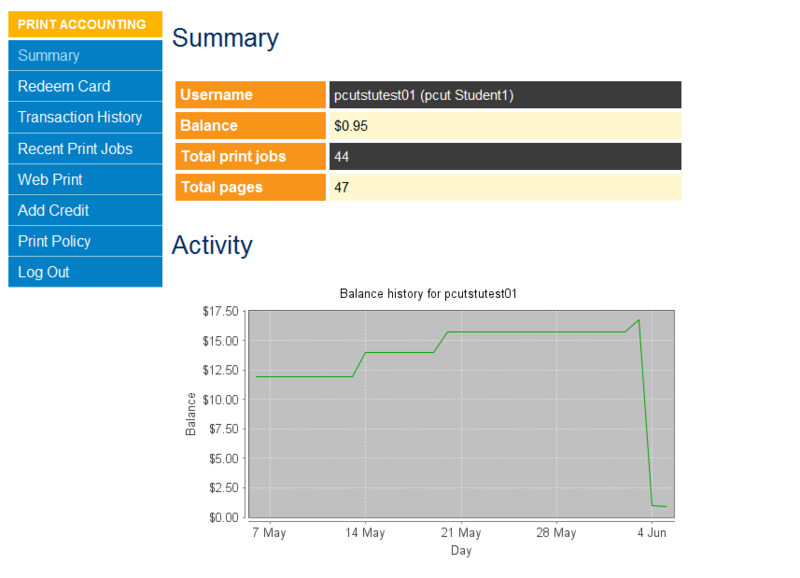 NOTE: Your semester's starting balance will display as $7.50, or the equivalent of your free print allotment. Your free print allotment is not redeemable for cash. Students' free allotments will be added the night prior to the first day of each semester. How can I look up how much money I have left on my printing account? Each time you log onto a campus computer with your Madison College student network account, a Print Smart pop-up will appear displaying how much money you have remaining. As a student you also have access to an online printing account which provides you with more detail about money on your account and your print usage. Click on the Details... link to access your print account from on-campus. How do I re-open my balance window if I accidentally close it? 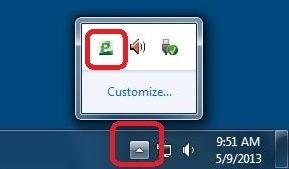 If you close your balance window it can be re-opened by opening up the "hidden icons" in the bottom toolbar and clicking on the PaperCut icon. What will I see when I go to print? After you click Print, you will need to verify and approve your print job before it is processed. This is done by reviewing the confirmation window that pops up and then clicking Print. When am I charged for my print job? When you confirm a print job by clicking Print in the pop-up window, the cost will be deducted from your printing balance. What happens if I need to print more and I've run out of money? When your free prints are exhausted, you will have to add money to your print account. You are allowed to add denominations of $1, $2, $3, $4 or $5 to your account. Please keep in mind that money on your print account is non-refundable. 1. Add money with a credit/debit card or by ACH (checking/ savings account) via the online print account. Access your online print account by clicking on the Details... link in the Print Smart balance pop-up window. Go to our How to add Money to your Print Smart Account help document for more detail. 2. Add money by buying a prepaid print card, which you will be able to purchase at various campus locations, and entering its number online via the PaperCut web interface. What is a prepaid print card and how do I use one? If you do not wish to use a credit/debit card or ACH (checking/savings account) to add money to your printing account, you can purchase a prepaid print card with cash. These are cards with unique redeemable codes valuing in denominations of $1 or $5. Treat these cards like cash. You will then need to log into your printing account to add money with this code using the web pay gateway. Each code can only be redeemed once. Where can I buy a prepaid card? If I lose my prepaid card will I be reimbursed? No. Be sure to take care of your card and treat it like cash. Anyone can redeem this code to add money to their printing account. Can I add money to my print account from home? For your personal protection, at this time you can only access your online print account on campus. Can I use the money on my OneCard to pay for prints? What happens if I don't use all my "free" prints? Will they roll over? Free prints will not roll over from semester to semester. However, your paid prints will continue to carry over. Each semester you will receive the equivalent of 150 free black and white prints which will always get used first. Then your paid prints will be used. Will I be able to print between semesters? Yes. If you have remaining free prints from the previous semester and/or you have a balance from adding money to your account, printing will be accessible. Otherwise you have the option to add more money to your print account using the web pay gateway or by buying a prepaid card at one of the designated locations. Remember any money added to your print account is non-refundable. What if I just registered/ applied to be a student? Can I print right away? Yes. As soon as you are in the student directory, and have activated your student network account, you will be able to print. However, you will need validate your printing credentials the first time to be added to the printing system right away. How many pages can I print at a time? Students may print up to 30 pages per job. This is a safeguard to prevent you from printing a larger document accidentally or overloading the printing queue which slows down printing for others. What happens if I don't have enough money in my account but I print anyway? If you do not have enough printing balance for a job you will see a Printing Denied message, and your document will not be printed. You will then need to add money to your print account using the web pay gateway. 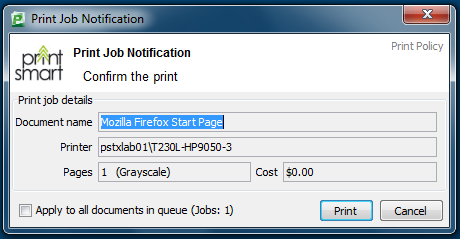 What happens if I accidentally click "print" twice? If you click print twice you will be charged for each instance. You have been given an allotment of 50 pages per semester for jams, selection errors or other unintended printing. What if the printer jams? Will I get reimbursed? You have been given an allotment of 50 pages per semester for jams, selection errors or other unintended printing. Atypical printer equipment problems will be determined by staff. If reimbursement is needed we will add free prints to your account. We anticipate reimbursements will be rare. 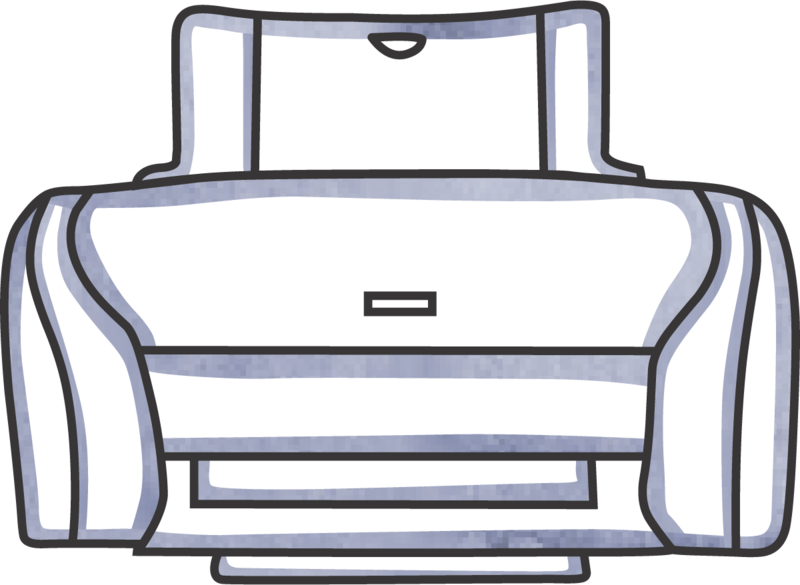 While double-sided printing saves paper, a lot of the College printers cannot handle this feature at high volumes. Double-sided printing often causes the printers to jam repeatedly which wastes more paper (and potentially your print allotment) in the long run. In some cases, double-sided printing can also cause printers to error out and stop printing your document altogether. Which will require you to print yet again. You should also note that double-sided printing does not save you money. All standard Black and White prints cost $.05 per side and all standard Color prints (where available) cost $.50 per side. Do I have to pay for scans? You will only be charged for your scans if you decide to print them. Other options include saving to your Hdrive, saving to a flash drive, or emailing the document to yourself. How do I print from a Mac? Printing from a Mac computer is very similar to printing from a Windows computer with a couple of small exceptions. Please read the Print Smart Mac Guide for more details. How can I reduce how much I print? Check out our Print Smart: Printing Tips page for ideas on how to reduce your printing. You can also log onto your online printing account and see more statistics about your printing history and environmental impact. Will my printing be monitored? Yes, we will be reviewing activity, trends, and patterns of student printing. Like many services there should be no expectation of privacy so give good thought to what you are printing. We will not share information for other purposes. However, if abuse or inappropriate printing that is clearly in violation of all College policies for students is discovered action may be taken. What if I am not a student at Madison College? Will I be able to print? Madison College no longer provides free printing for non-affiliated (guest) users. However, you may register to create your own print account (PaperCut account) in order to add money and print in areas of the college that permit computer access for non-students. Find out how to do so on our Guest Users Information page. After registering your PaperCut account, you will be able to add money via a credit/debit card, ACH (checking/ savings account) or a prepaid print card, which will be available for purchase at many Madison College campuses. You will be able to add a minimum of $1 or a maximum of $5 to your print account, and you do not need to use your balance up all at once. Any money added to your print account is non-refundable. 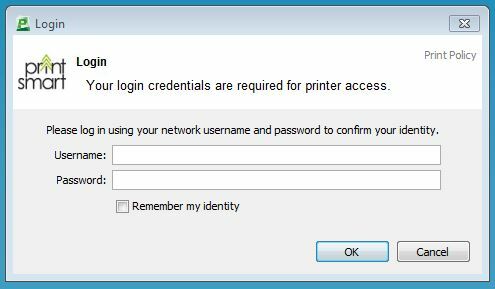 Can I print from my personal laptop or device to campus printers? Summer 2018: We are starting a pilot project for Mobility Print and you will be able to print from personal devices in the Truax Library A3000. Learn more - select the Mobility Print tab at the top of this page. Contact the Student Computer Help Desk - Phone: (608) 243-4444 or Toll Free:(866) 277-4445. Reducing the amount of paper is part of the College’s ongoing efforts to have a more environmentally friendly and greener campus. Also, as a not-for-profit, taxpayer supported institution, the College is committed to recovering costs wherever possible. Madison College students are Real World Smart and that includes being good stewards of the Earth. That is why we are introducing Print Smart, a series of efforts that will encourage smart and responsible printing by students throughout the District. Our goal is to decrease printing by 40% or more over the next year. Help us figure this out. Feedback from the students is critical to making certain all is going well. Fill out the short form if you run into trouble or have questions. We appreciate your participation. Thanks!